An amazing patent pending indicator system that uses a positive screw clasp on the line and inflatable balloon indicators that can be adjusted to any size. 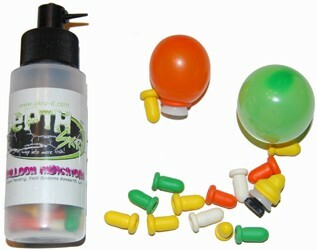 The indicator bottle also acts as a pump for inflating the balloons or releasing air to get the desired size. Easy to move and easy to adjust! 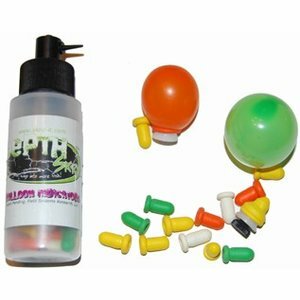 Kit contains a line screw clasp & 8 balloon indicators packaged in the pump bottle. The size adjusts from one half inch in diameter to over an inch and one half.